Overview: Unlike any other beach on the island, “Fleming’s” is a hybrid stretch of sand where the southern half is dominated by Ritz Carlton resort guests and the northern half is a beach park that is popular with locals. 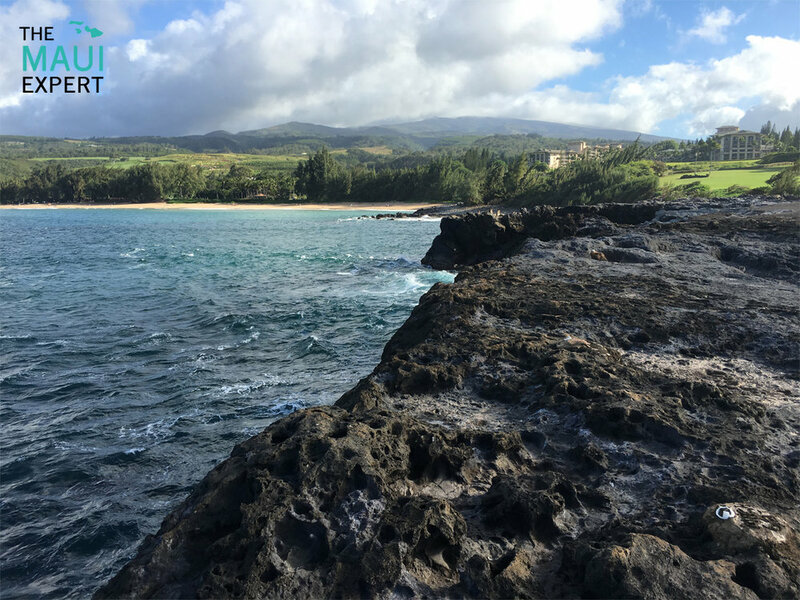 In 2006, Honokahua Bay was named #1 Beach in America, joining the upper echelon of Maui beaches that includes Kapalua Bay, Ka'anapali Beach, as well as Wailea Beach. This is one Maui's best beaches for bodysurfing, although the surf can get dangerous and rough in winter. Luckily this is one of the only beaches with lifeguards, and it's also a great beach for visiting with kids since there's ample shade, restrooms and showers, and a grassy area for picnics. Good For: Bodysurfing, boogie boarding, barbecuing, surfing, families with young children, pot lucks, walking to the Ritz Carlton, hiking to Makalua-puna Point (aka "Dragon's Teeth"), chatting with Maui lifeguards. Not So Good For: Snorkeling, crowds (especially on weekends), calm afternoons, non-swimmers. Maui Expert Tip For Honokahua Bay (DT Fleming Beach): Honokahua Bay can get very windy—particularly in summer. Large surf is common in winter, and weekends can be crowded with dozens of bodyboarders all jockeying for space on the waves. This is also a great place to go for a short walk out to Makalua-puna Point, but tread cautiously and show respect since it's a sacred Hawaiian site. Directions and Parking Situation: To access the beach from Kapalua, park in the lot at the bottom Office Road by the Ritz Carlton resort. A paved walking path leads down to the beach and there is enough for parking for about 15 cars. For a larger lot (which still gets full but has overflow parking on the entrance road), drive one mile north of the Kapalua entrance and turn left at the sign for the beach park. Facilities: Restroooms, showers, barbecue grills, picnic tables, oceanfront restaurant.